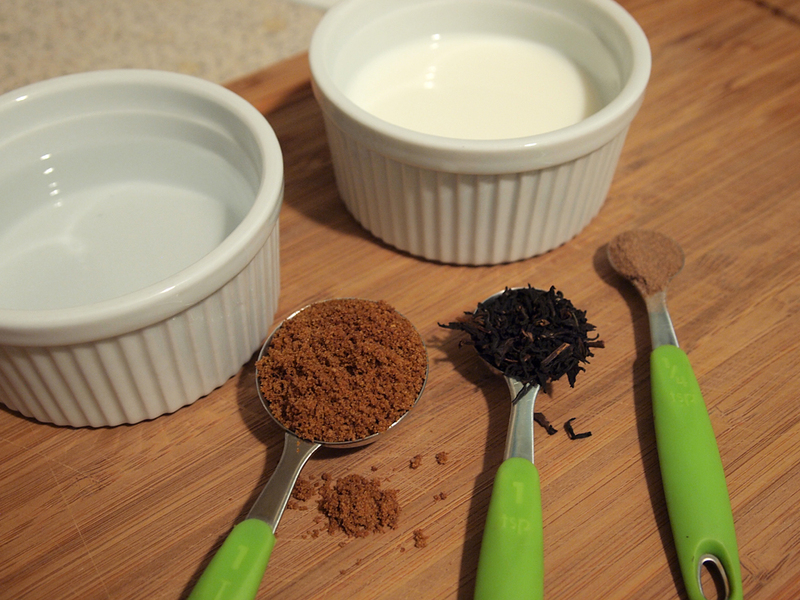 Let’s have a quick chat about the ingredients…every masala chai is made differently and although I went through a series of experimenting last year, I finally stopped tinkering and have stuck with this recipe. You can make your own ground masala with a combination of spices like black pepper, ginger, cinnamon, cardamom, clove and nutmeg. I chose to be lazy and bought my mix from Granville Island Tea Company. 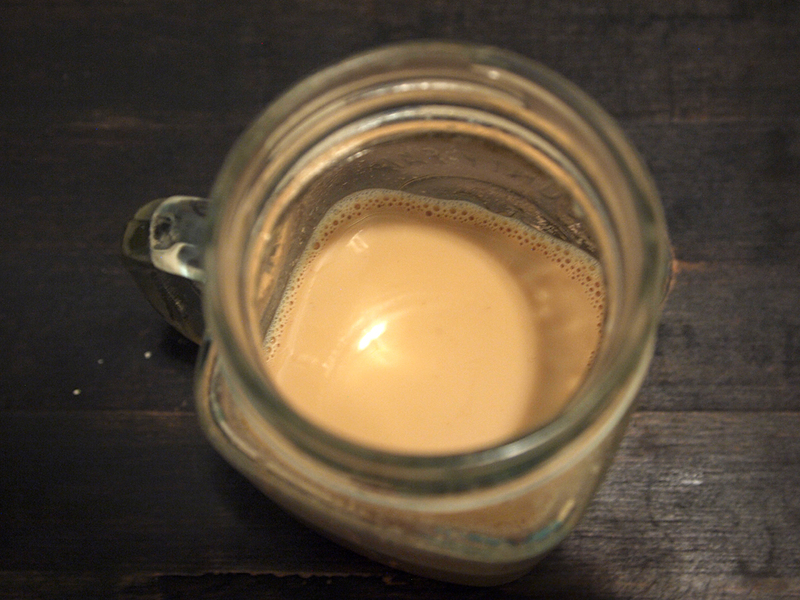 If you’ve never been there, please do order a cup of their house masala chai…it’s got butter in it, enough said. Why whole milk? Well besides making it a lot creamier and a better mouth feel, the fat in the milk will help pull out the flavours of the spices…do some research it’s true. Ground versus whole spices? Whole spices would be my go to if I had all of them fresh in my cupboard all the time. It wouldn’t leave a chalkiness to the bottom of the cup but you would have to simmer it longer to extract the full flavour. Ground suites me fine, I just don’t drink the last sip. 1. Dump the whole shabang in a small pot and set your burner at medium-ish. 2. Stir it a bunch so the milk doesn’t scald, you just want light bubbling around the edges so turn down the heat if needed. 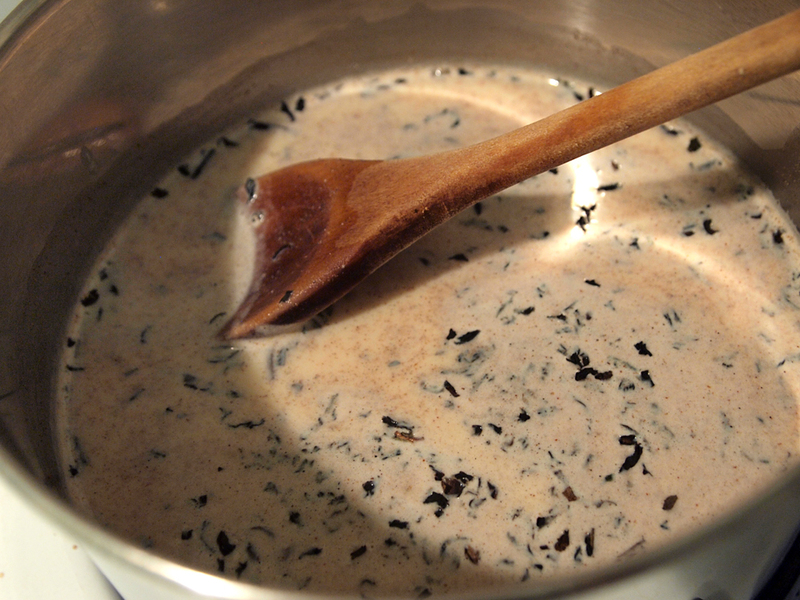 Any hotter and you’ll create a skin on the top, let it simmer while stirring for a few minutes. 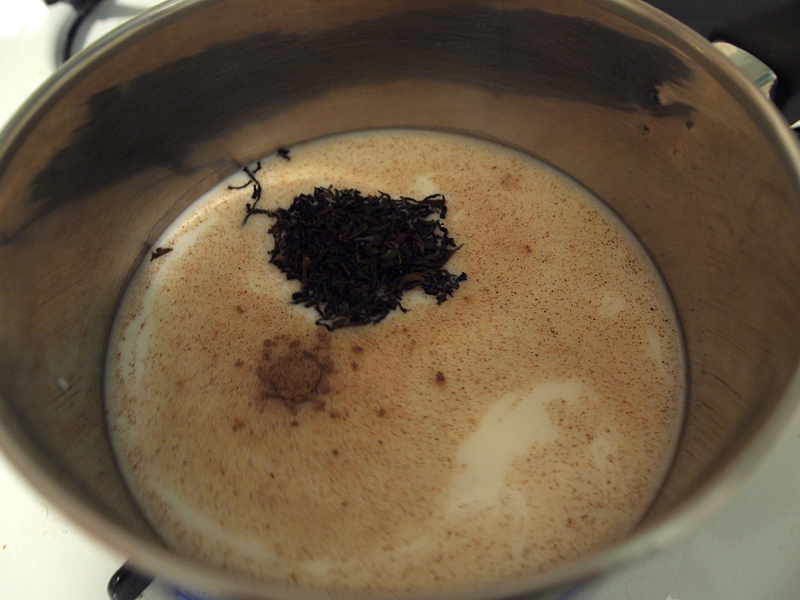 Turn off the burner, throw the lid on and let it steep for another 5 minutes. 3. Prep your strainer system, hopefully yours won’t involve as many things as mine did. 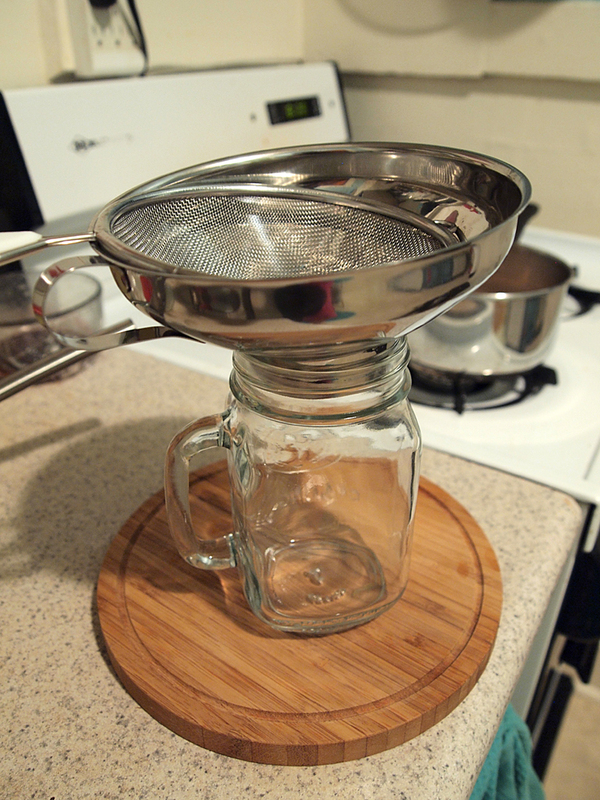 Strain your tea through a fine sieve. 4. 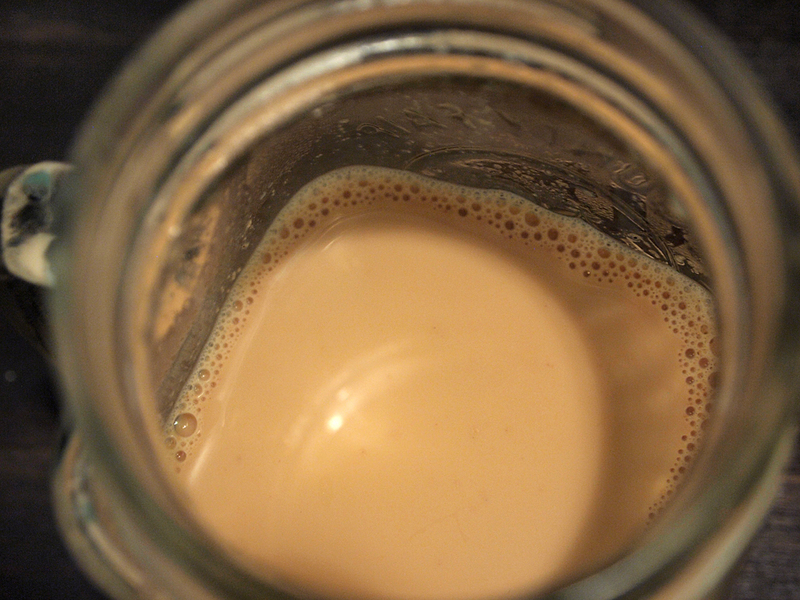 Your masala chai should be a lovely caramel colour with a creamy texture…you’ll wish you made more and definitely won’t want to share if you’ve only made one cup! Fun fact: Chai literally means tea so when you hear someone ordering a chai tea latte at Starbucks, you can snicker behind their back at the redundancy. Or not because you’re nicer than me.